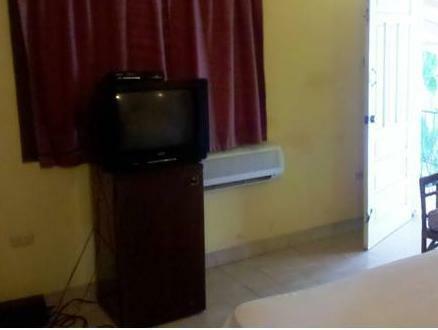 ﻿ Best Price on Perla de Sosua - Economy Vacation Apartment Rentals in Cabarete + Reviews! 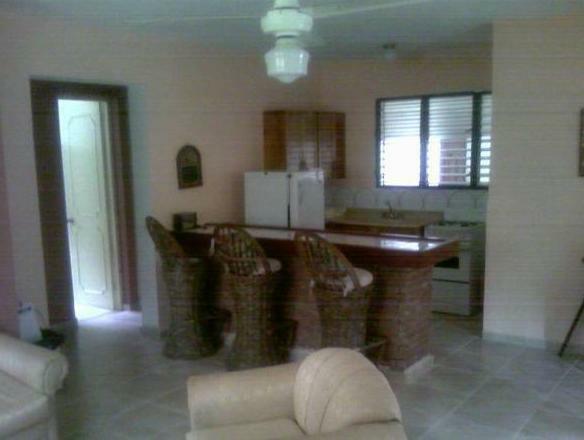 Have a question for Perla de Sosua - Economy Vacation Apartment Rentals? For travelers who want to take in the sights and sounds of Cabarete, Perla de Sosua - Economy Vacation Apartment Rental is the perfect choice. The excitement of the city center is only 0.0 mi away. With its convenient location, the hotel offers easy access to the city's must-see destinations. 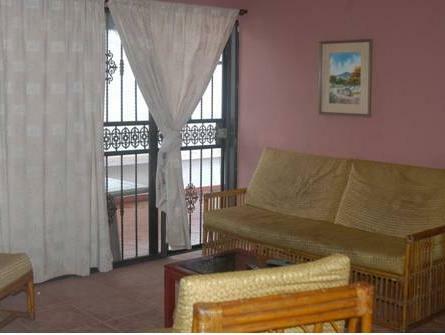 Perla de Sosua - Economy Vacation Apartment Rental offers impeccable service and all the essential amenities to invigorate travelers. For the comfort and convenience of guests, the hotel offers free Wi-Fi in all rooms, Wi-Fi in public areas, car park, airport transfer, laundry service. 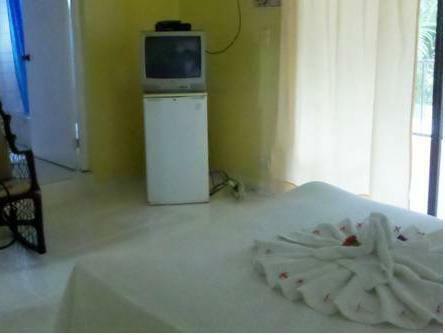 The hotel features 11 beautifully appointed guest rooms, many of which include television LCD/plasma screen, internet access – wireless, internet access – wireless (complimentary), air conditioning, balcony/terrace. The hotel offers an excellent variety of recreational facilities, including outdoor pool. Perla de Sosua - Economy Vacation Apartment Rental is your one-stop destination for quality hotel accommodations in Cabarete. I really enjoyed my experience here. The staff was friendly. The apartment was simple but it had everything that you really needed. This is not a good choice though for first time travelers to the Dominican Republic. But if you have traveled better lived in Latin America you will love this option as it is cheap, safe and close to everything in Sosua from grocery stores, to the beach to public transport. For anyone expecting anything more than a bed to sleep in and don't consider which part of the world they are going this can be a disaster. Shower worked and water was abundant, just not the warm water. Cracks everywhere, door lock broken, loose handle. Small fridge, also problem with door, tiny safe. No glass on front windows, door secured the "old fashion" way with a hook, and so on.. However, the bed was quite comfortable, and glass on the windows not really necessary as it was hot all night, even during the rain storm, and the breeze was a relief. Staff did not speak English so some level of Spanish is advised, but was very helpful and went out of their way to help. It is very close to the the main street where all the life is at both day time and night time. Yet, since it's a bit off it is perfectly silent at night, so the location is excellent. Although pretty low, I consider the price a bit steep considering what you get. Ich habe das Hotel zum zweiten mal genutzt.Mir gefällt die Nähe zum Strand,zum einkaufen und zur Pedro Clisante,wo sich das Nachtleben abspielt.Das beste Essen ist zwei Minuten entfernt im Hotelrestaurant "El Rancho"bei Andy.Vom Personal ist Pablo hervorzuheben,immer freundlich und zuvorkommend.Die Zimmermädchen arbeiten gut und unauffällig.Die Zimmer könnten eine Verjüngungskur vertragen.Aber ich bin nicht anspruchsvoll,mir reicht ein gutes Bett und eine Klimaanlage.Habe für November wieder gebucht. Der Aufenthalt war gut. Keine übermäßige Lärmbelästigung. Was ein wenig störte war die Zimmerreinigung. Kam zu unterschiedlichen Zeiten. Ein Hinweisschild (Bitte nicht stören, etc.) an den Türen wäre eine gute und einfache Lösung. ho trovato questa sistemazione selezionando varie opzioni economiche di soggiorno trovate a sosua. l'apart hotel ha camere diverse tra di loro, quella in cui ho soggiornato è per per chi viaggia da solo, è la numero 4, di 22 mq., munita di ventilatore a soffitto, aria condizionata, tv via cavo e frigo, senza area cucina. essendo un apart-hotel la colazione/pasti non sono previsti. il prezzo giornaliero pagato è stato di circa 30 euro. l'apart hotel è veramente molto tranquillo ed e' a poche centinaia di metri da bar, ristoranti e dai principali locali della città. il portiere nonchè fac totum pablo è gentilissimo e sempre disponibile per qualsiasi necessità. la camera è sempre stata molto pulita e quotidianamente vengono cambiati gli asciugamani e le lenzuola. unica nota negativa è che all'appartamento è molto tempo che non vengono fatti lavori di manutenzione, in particolare ci sono alcune piastrelle con crepe nel bagno, il rubinetto della doccia dell'acqua calda funziona male. gli altri appartamenti della struttura che ho visto e sono più costisi sono più ampi e meglio arredati e tenuti. 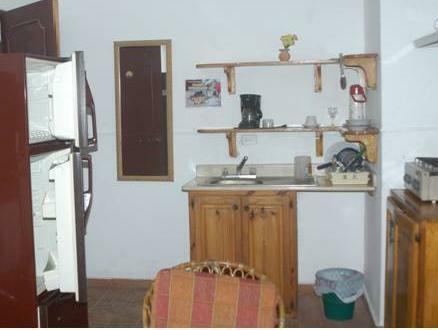 se ritornerò a sosua prenderò sicuramente ancora in considerazione questo apart-hotel, ma sceglierò un appartamento più grosso e provvisto di cucina.